Young people are dynamic and full of promise, with many different pathways to success. Hello Insight helps youth development programs continually evaluate and respond to what young people need. When we work as a collective, evaluation becomes more accessible and more powerful. Hello Insight unites a diverse community of young people and programs, using our smart online platform for continuous improvement. Afterschool programs, summer camps, and youth-serving programs of all types learn from like-minded programs facing similar realities. Together, we all gain access to a new world of insights. We are a growing community of 243 organizations serving 35,000 young people. Our survey tools are built for many types of programs and missions. Focus on the real impact you’re having. The experiences you create really have a positive effect on young people. Move beyond counting attendance and program hours and focus on nurturing young people to reach their fullest potential. Hello Insight uses outcomes in social and emotional learning (SEL) to help you evaluate your program. Our surveys include questions about effective practices, so you can understand your program more deeply. We work with practitioners like you to ensure that our survey tools are relevant and actionable. Let’s build a better future day by day. Hello Insight helps you understand each unique group of young people as programs start. We shed light on their strengths and the experiences that can help them grow. Our reports are powered by predictive analytics, but grounded in daily practice. We help you put what works into action, with specific recommendations for each group of young people in your programs. We use Hello Insight in all of our programs that work with opportunity youth. We can see exactly how program implementation is increasing college readiness skills in our students. This helps us make program adjustments and to improve overall program quality. 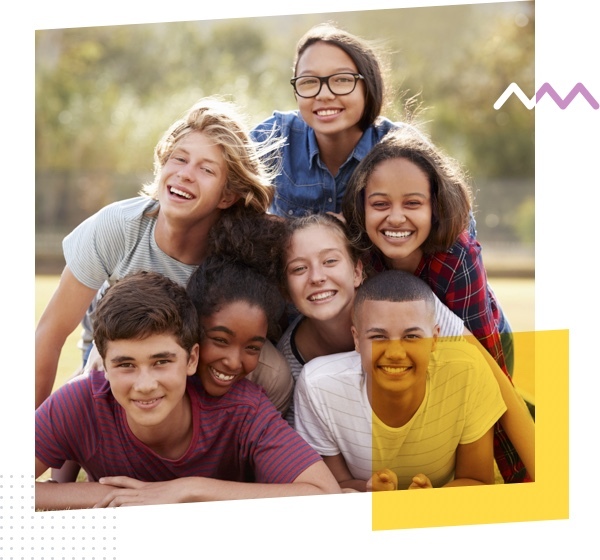 Hello Insight's data is human-centered, it is community-centered, and, by helping focus our attention on developing quality social emotional learning environments, we see enormous growth in students. Hello Insight makes the intangible, tangible. Based upon research and powered by cutting edge machine learning, it ties outcomes to best practices in program delivery, enabling programs to learn, share and improve. It is great to have such a powerful tool that is so easy to use. Engaging with Hello Insight means we are measuring the social and emotional development of the young peope we serve in responsible and meaningful ways. Hello Insight's unique participatory approach brings everyone's voice to the table, empowering the nonprofit partners we serve to take the lead in quantifying and qualifying their impact. Teams actually look forward to receiving and reviewing their data! Ready to bring Hello Insight to your organization?